Join us at the i.d.e.a. Museum during the upcoming discounted or free days – made possible through generous donations and grants to support our Access for All programs. The i.d.e.a. Museum will offer free admission from 6 p.m. – 10 p.m. on Friday, May 10, as part of the City of Mesa’s Museum Discovery series. 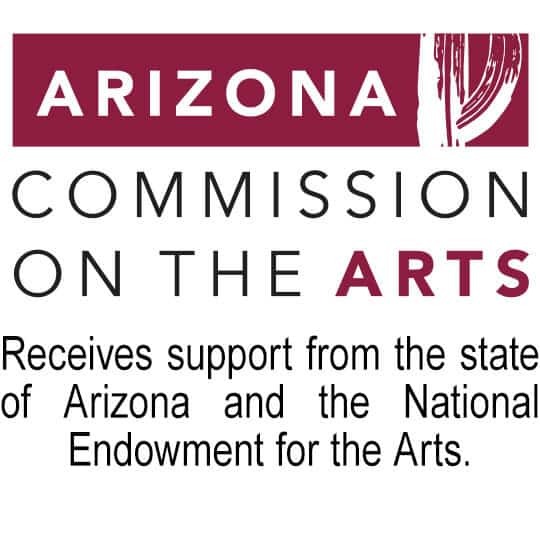 Complimentary access is part of a move toward offering Museum Discovery events on select days or evenings by the three City of Mesa cultural institutions, including the Arizona Museum of Natural History and Mesa Contemporary Art Museum (press release with more details coming soon). These free days and evening events are aimed at making science, art and hands-on activities accessible to families of all economic backgrounds. At the i.d.e.a. Museum, guests can experience imaginative and creative experiences in ArtVille and the HUB Gallery. Also, visitors may venture into our current art exhibition, Junkyard Jungle. Activities include art-making a variety of wild animals; imaginary play as biologists, entomologists, zoologists and ecologists; and exploring the black light rainforest. Free days are very popular and attract crowds. To better serve visitors, avoid long lines and allow as many people as possible to enjoy the museum, the museums may implement timed tickets at the door on a first-come, first-served basis. No advanced tickets will be distributed. Did you know? The i.d.e.a. Museum and Arizona Museum of Natural History also offer discounted admission for economically challenged families, so they may experience the museum without the crowds typical on free days. Families who present their Electronic Benefits Transfer (EBT) card qualify for a $2 admission per person (up to 6 people) and may visit both museums during business hours that are convenient for their families. More about museum activities found online at arizonamuseumofnaturalhistory.org, ideaMuseum.org and mesaartscenter.com. Mesa’s Department of Arts and Culture includes the Arizona Museum of Natural History, i.d.e.a. Museum and Mesa Arts Center, all located in downtown Mesa, Arizona. The mission of the department is to strengthen, for all, the creative, social and economic fabric of our community and region through inspiring, relevant, engaging and transformational cultural experiences and cross-sector collaborations. The i.d.e.a. Museum is a proud participant in Museums for All – a cooperative initiative between Association of Children’s Museum and Institute of Museum and Library Services. This initiative allows families presenting an Electronic Benefits Transfer (EBT) card and valid photo ID receive a discounted museum admission ($2 per person; limit 6 in a family) when they stop by the i.d.e.a. Museum. This signature access program encourages families of all backgrounds to visit museums regularly and build lifelong museum habits. For more information about our program click below. *Please note: Socks are required for everyone entering ArtVille.